This is more the traditional expectations from a Project Manager. Create the Project Plan (in whatever format), manage the plan, resolve issues, submit Change Requests, and produce project communications. These are the more explicit expectations of the role. And like Goaltenders, you need to be proficient at doing this responsibility before you can hope to move onto the second. You can’t inspire confidence unless people believe you are competent in the basic role. To extend the analogy even further, the coach will now create challenging and innovative game plans and strategies because he has confident in his Goaltender. Now not only does the team take greater risks that can result in great things, but the project stakeholders will take on more risk because they trust the Project Manager and the team. That is truly a high-performing team. Inspiring confidence is two-fold. One is being confident and having the team feed off of your confidence. This is very important and a project with a Project Manager without confidence in the project and team is lost from the start. Two is having the team understand that you are 100% part of the team. Sometimes on projects there tends to be a distinction between the Project Manager and the rest of the team. But when you can sit in the room with the entire team and do project work alongside the entire team, the confidence and energy the Project Manager can instill will encourage the team to accomplish unbelievable things. 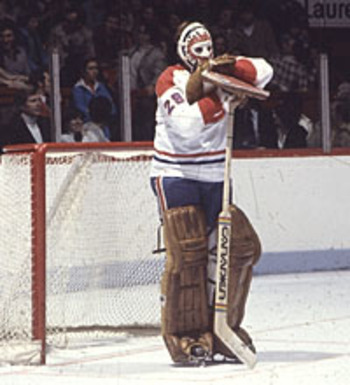 If you need any additional proof, here is the classic Ken Dryden pose. Play for the crest on the front of the jersey rather than the name on the back – Simply put, the individual cannot have a personal agenda or an ego. Every member of the team must be willing to do whatever it takes to have the team succeed. This is seen again and again in the Stanley Cup playoffs. You never see a good Canadian boy saying he doesn’t get the puck enough. Mistakes cause you to lose games – Mistake or defects cause you to lose a game and also have bad projects. These things just cannot happen. Good teams do everything they can to eliminate these mistakes and defects. Good coaching can eliminate mistakes from a hockey game and Test Driven Development can eliminate defects from a Software Development Project. 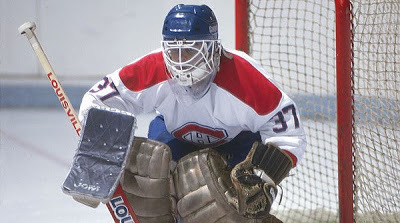 Winning the game/satisfying the client is the only thing that matters – It doesn’t matter if you scored a hat trick, had 7 assists (sorry Darryl Sittler, but I’m a Habs fan), or delivered just what the contract stated. None of that matters at all. The only thing that matters is if you won the game and the client was delighted. Too often in both Hockey and Software Development we seem to be more focused on these small victories and sacrifice the end goal. 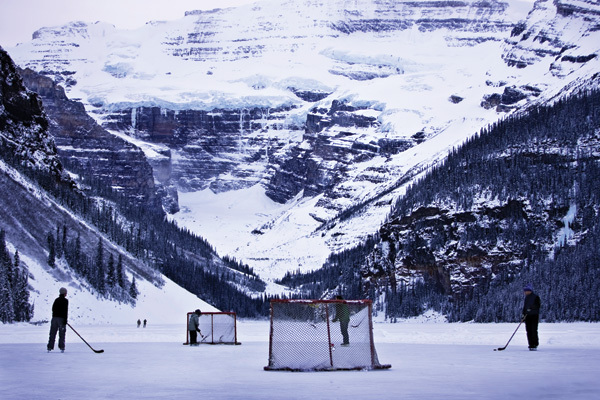 Shoot the darn puck/deliver the darn iteration – You can’t win the game unless you shoot the puck at the net. You can’t succeed in satisfying the client unless you actually deliver something to the client. Iterations and trying to score often is at the heart of success in both Hockey and Software Development.